CYC children and families went “off to great places” earlier this month! 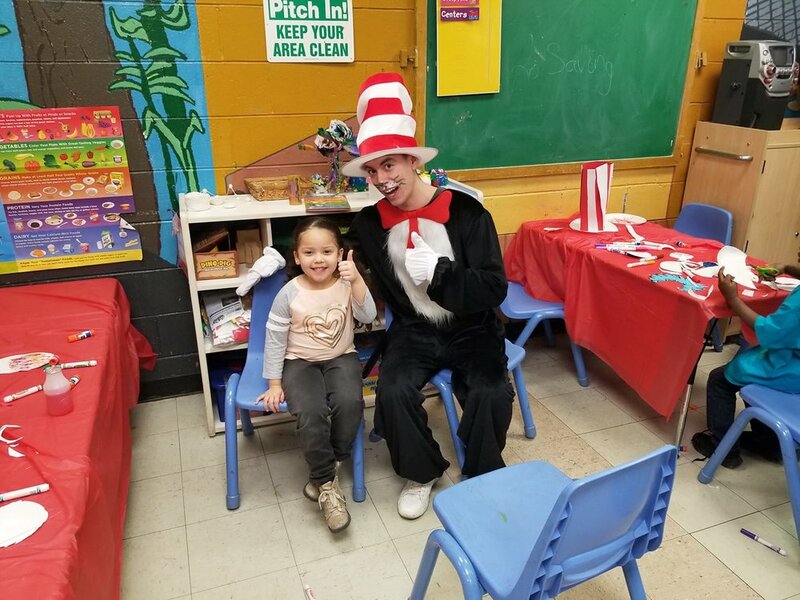 Forty families gathered at CYC-Elliott Donnelley Youth Center for a Dr. Seuss Family Literacy Day to celebrate both Dr. Seuss’s birthday and a love for reading. Different stations, themed around various Dr. Seuss books, were set up around the Center. Children were able to play bingo for books, create craft projects like truffula trees, and even make oobleck as a science project. The best part? The Cat in the Hat himself made a special appearance. CYC staff member Anjel Williams, who organized the event, said the day was one of the best family engagement events of the year. By holding a literacy event, Anjel said parents learn about the importance of reading comprehension and literacy. Throughout the year, CYC holds various family engagement events to ensure that children develop healthy habits at home and build strong bonds with their families. The event was also an excellent opportunity for parents and kids to take a little break and spend quality time together. “Parent involvement is important for kids to see that their parents care about what they are doing,” Anjel said.